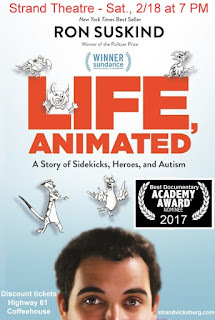 The Strand opens our 2017 film series with this 2017 Oscar Nominee: LIFE, ANIMATED. It is the real-life story of Owen Suskind, the son of the Pulitzer Prize-winning journalist Ron Suskind and his wife, Cornelia. An autistic boy who couldn’t speak for years, Owen memorized dozens of Disney movies, turned them into a language to express love and loss, kinship, brotherhood. The family was forced to become animated characters, communicating with him in Disney dialogue and song. Until they all emerge, together, revealing how, in darkness, we all literally need stories to survive. Incredible story well told. 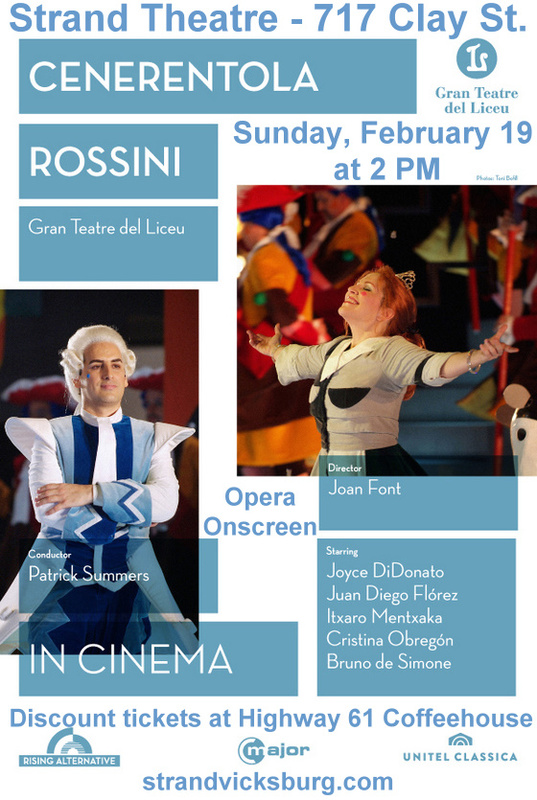 Capturing all the vocal sparks and dazzle generated by the charismatic Juan Diego Flórez and stunning Joyce DiDonato, this "may just be the definitive performance of Rossini's enchanting rags­to­riches fairy­tale," (Opera Today). With his airy, effortless high notes and perfect command of rapid­fire Rossinian parlando, Flórez once again proves that he was born to sing Rossini. American mezzo Joyce DiDonato is not only a beautiful Angelina, but also a prodigiously gifted artist who moves with ease and grace from the most delicate pianissimi to the most heartrending outbursts of passion. Conducting the Orchestra of the Gran Teatre del Liceu, Patrick Summers leads “an effervescent reading” (Opera Today) that is fully supported by the rest of the top­notch cast. Director Joan Font and his designer Joan Guillén keep the audience busy with many lovingly crafted details, including dancing mice, cheerily colorful costumes and imaginative lighting effects, courtesy of Albert Faura. Light and bubbly, this is Rossini at his finest..
Hitch called it his favorite film. Free while seats remain. by The Royal Shakespeare Company from Stratford-upon-Avon. Amazing special effects bring Ariel to life. young boy who is sent to a group home and his search for the family he never really had.